USANA, word! : What’s so great about Vitamin E? What’s so great about Vitamin E? Well, where to begin with good ol' vitamin E... It's been proven by several conducted researches that vitamin E has many health benefits for the human being and without it we'd be pretty... well pretty miserable really. Health and Wellness market leader USANA understands the importance of providing the right ingredients, such as vitamin E, in the correct amounts, in the right balance, and in the correct forms - for all age groups. 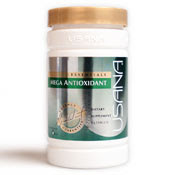 Products such as the USANA's Mega Antioxidant delivers a comprehensive, high-potency formula with a full spectrum of vitamins, antioxidants, and co-factors needed for long-term optimal health. What more do you need? However, before we get carried away, let's start with the benefits of vitamin E for skin health and skin care. First of all, because of its antioxidant activity, vitamin E is vital in protecting skin cells from ultra violet light, pollution, drugs, and other elements that produce cell damaging free radicals during the day and night. Another valuable quality of vitamin E is that it is able to regulate vitamin A in the body. 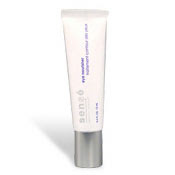 Vitamin E also plays a big role in the anti-aging of the skin. Vitamin E provides benefit in preventing and treating sunburns and vitamin E can aid in the treatment of various skin diseases or skin conditions. One of the most important benefits of vitamin E is the prevention of skin cancer, it helps reduce the appearance of stretch marks, prevent the appearance of age spots and helps maintain the oil balance in the skin. Talking about skin care- be sure to check out the all natural skin care range of USANA that contains -among other ingredients- all the goodness of vitamin E. USANA has other great products like Serum Intensive (bound to leave your skin illuminating), the Eye Nourisher (softens away lines and wrinkles) and the Daytime Protective Emulsion (a high performance moisturiser with sunscreen). So that's all pretty good, isn't it? Vitamin E and USANA make us look good from the outside, that's for sure. But the Power of vitamin E doesn't stop there. Besides skin care qualities, vitamin E also has several benefits for your body. Recent studies indicate that vitamin E can be useful in treating or possible preventing menstrual pain, inflammation of eye tissues, cataracts, Alzheimer's and Parkinson's disease, rheumatoid arthritis, asthma, cardiovascular disease, prostate cancer and breast cancer- the list just doesn't stop. Benefits of vitamin E also include helping the body increase, regulate the levels of vitamin A in the body and vitamin E is a general immune system booster, especially in older adults. In our hectic lives of today we don't always seem to get all the nutrients that we should get. USANA acknowledges this and has developed the Essentials range, which is the most well-rounded supplementation range possible - a must for everyone interested in true health. These are not just your average supplements we're talking about- USANA has researched and designed the Essentials range meticulously to allow components to work together both safely and effectively. A great example of such balanced supplement is the HealthPak 100 which must be the most complete vitamin, optimizers and antioxidant formula on the market today. Go check it out!